TS TRT SGT Exam Pattern TS TRT SGT Syllabus Qualifications. 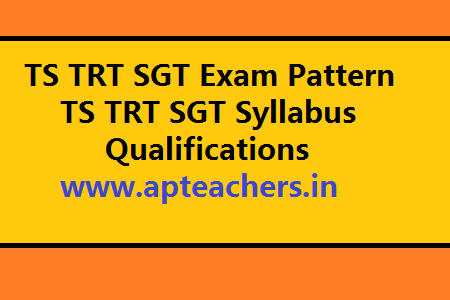 Scheme of Exam and Syllabus for SGT TS TRT Recruitment 2017. SGT - TELUGU SYLLABUS, TS TRT SGT Urdu Medium Posts, TS TRT English Medium Posts Required Syllabus, Exam Pattern, Exam Scheme. 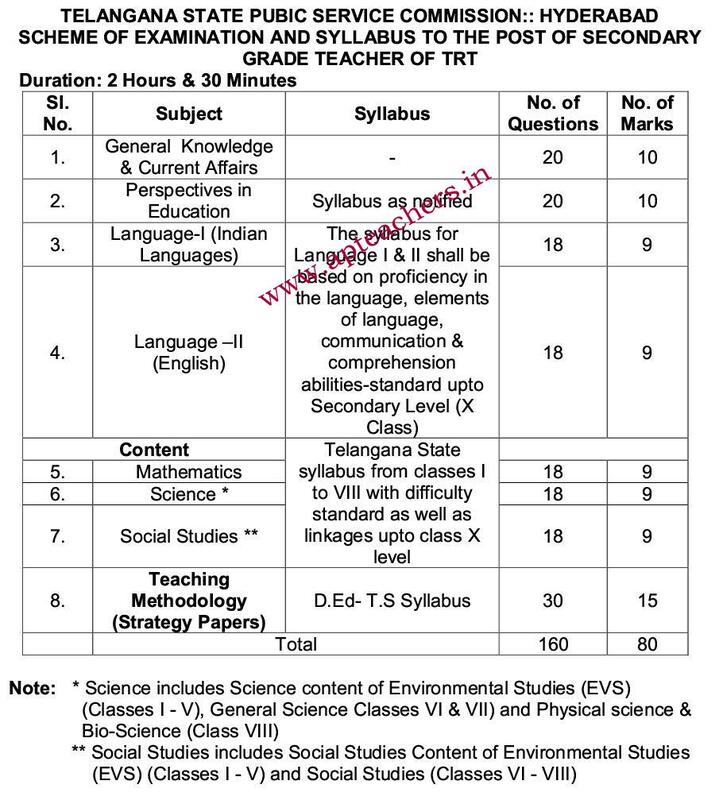 Detailed Syllabus for SGT Posts in TS TRT Teachers Recruitment is given below. The candidates who have (i) passed either SSC (or its equivalent) Examination or Intermediate (or its equivalent) or Degree Examination in the medium of instruction concerned or (ii) have studied the Language concerned as First Language in SSC (or its equivalent) or as Part I in Intermediate (or its equivalent) or as Second Language in Intermediate (or its equivalent) or as a Subject in Degree, are eligible for the posts of SGT in the concerned medium school. The Medium of the TRT Question Paper shall be the same as the Medium of the Post opted for. Kautilya careers provide offers dsc sgt syllabus in telugu. So make your career bright with right education. For more detail visit our website.